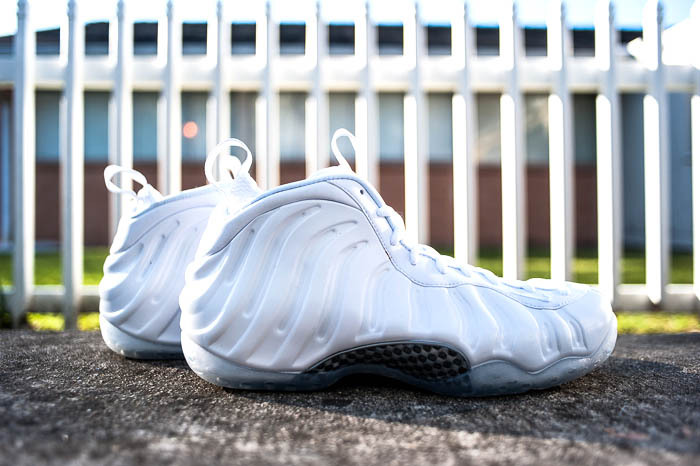 A few new shots of the highly anticipated white-on-white Nike Air Foamposite One. Ever since Penny Hardaway himself wore them a couple years ago, every "foamhead" has been fiending for them. 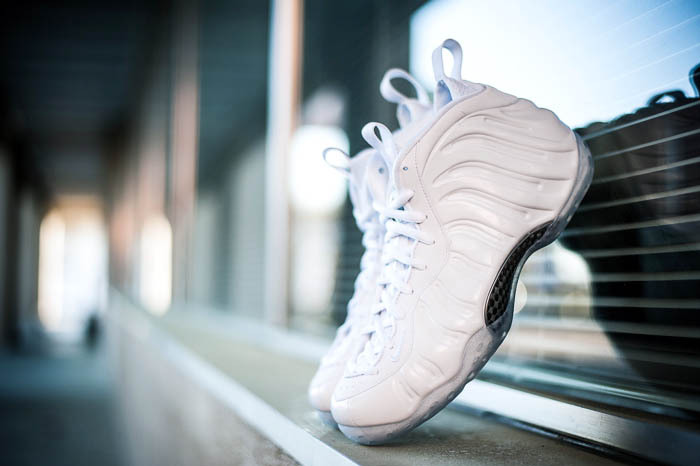 Now the all-white Air Foamposite One will finally hit retail at the end of this month on March 29th from select Nike Sportswear retailers and Nike.com. 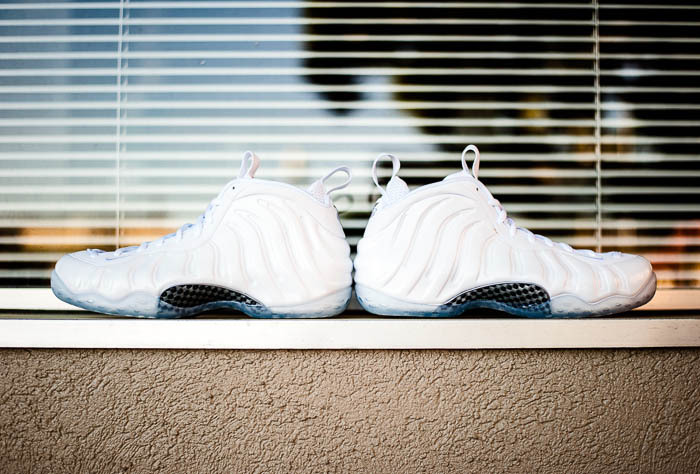 Until then, check out a few more images of the 'White/White-Metallic Silver' Air Foamposite One below from Politics, and let us know if you'll be trying to snag a pair.